A comprehensive longitudinal study for a Pre-Post Occupancy Performance Evaluation (POPE) of a state-of-the-art commercial office building. 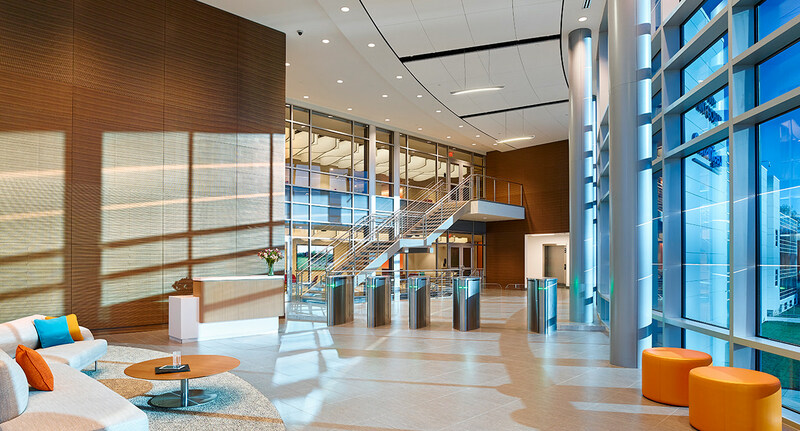 Studying the Impacts of Advanced Building Materials on Indoor Environmental Quality, Building Performance, and Occupants Comfort and Health in Retrofitted Double-Platinum LEED™ OfficeBuilding. 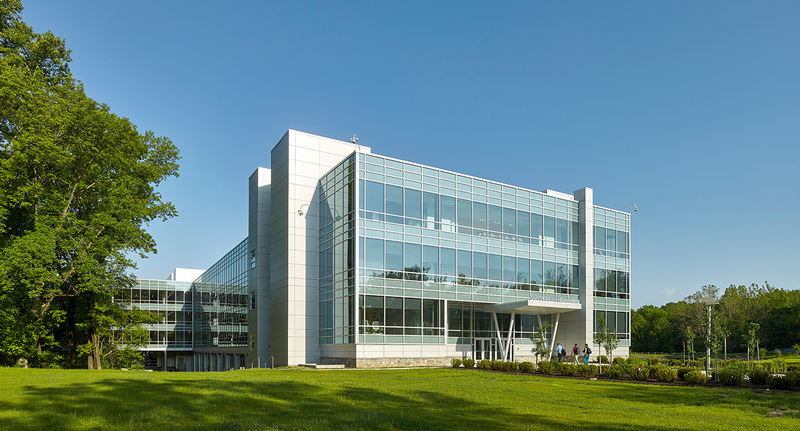 A late 1960’s commercial office building was transformed into a LEED™ platinum certified corporate headquarters. The existing building was stripped down to the structural system and enclosed in a high performance building envelope and glass façade. 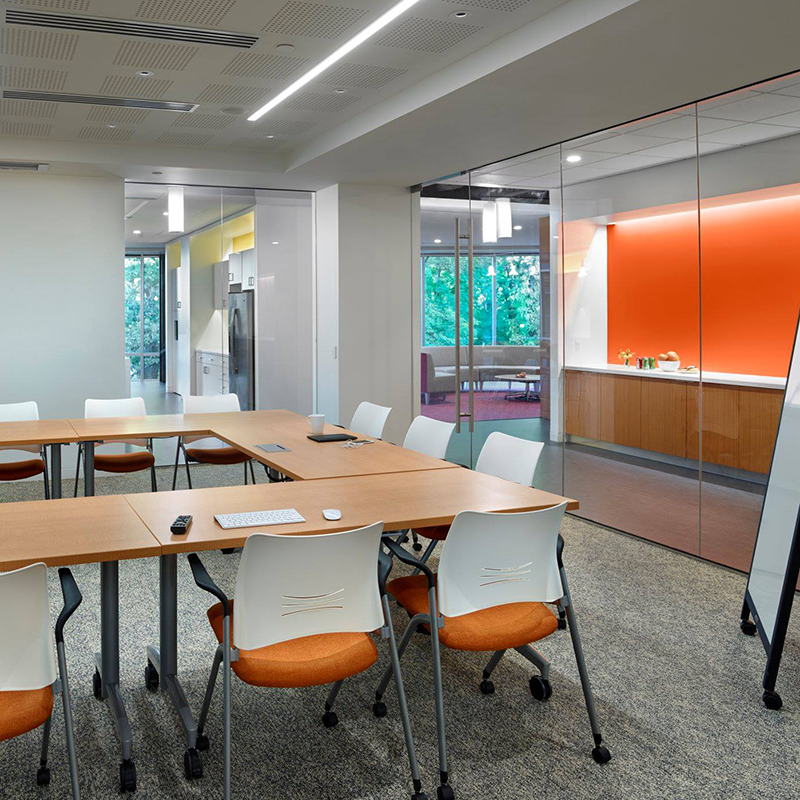 The traditional floor plan with perimeter offices and central workstations was reconfigured into open concept office space with central workstations, perimeter hallways and collaborative areas. The building was designed to meet ASHRAE Standard 90.1, 55 and 62.1. 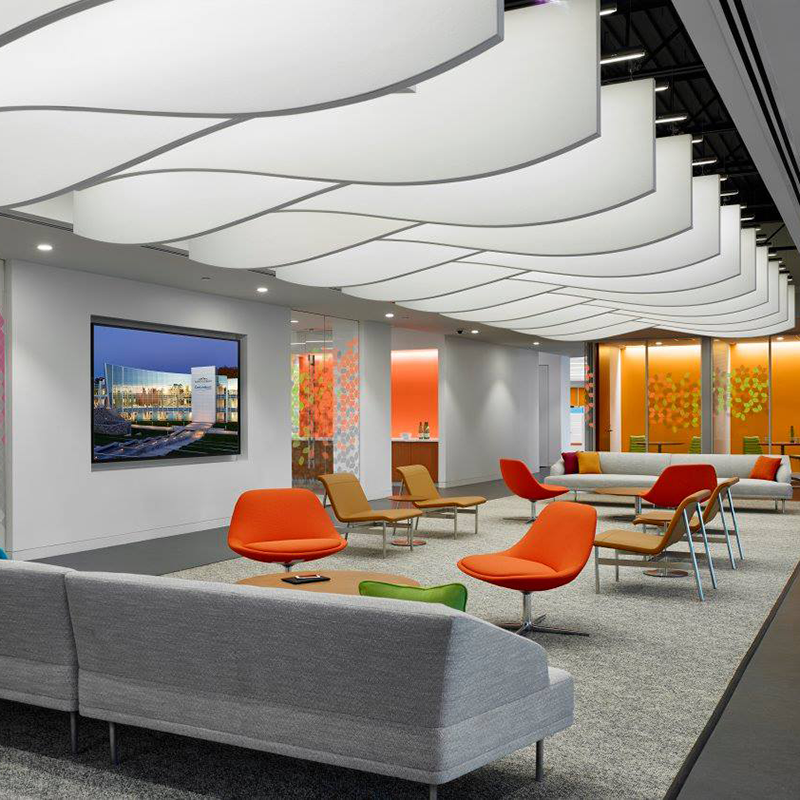 Envelope improvements and integration of high performance building strategies were employed to achieve USGBC LEED v3 Core and Shell and Commercial Interiors. Results of a 36-month longitudinal, systematic indoor environmental quality assessment using continuous and intermittent measurements to quantify indoor thermal comfort and air quality were statistically analysed and correlated with occupant surveys. Results show strong relationships between green design strategies, indoor air quality, and occupant’s multi-comfort that is well‐correlated with improved employee satisfaction and productivity. 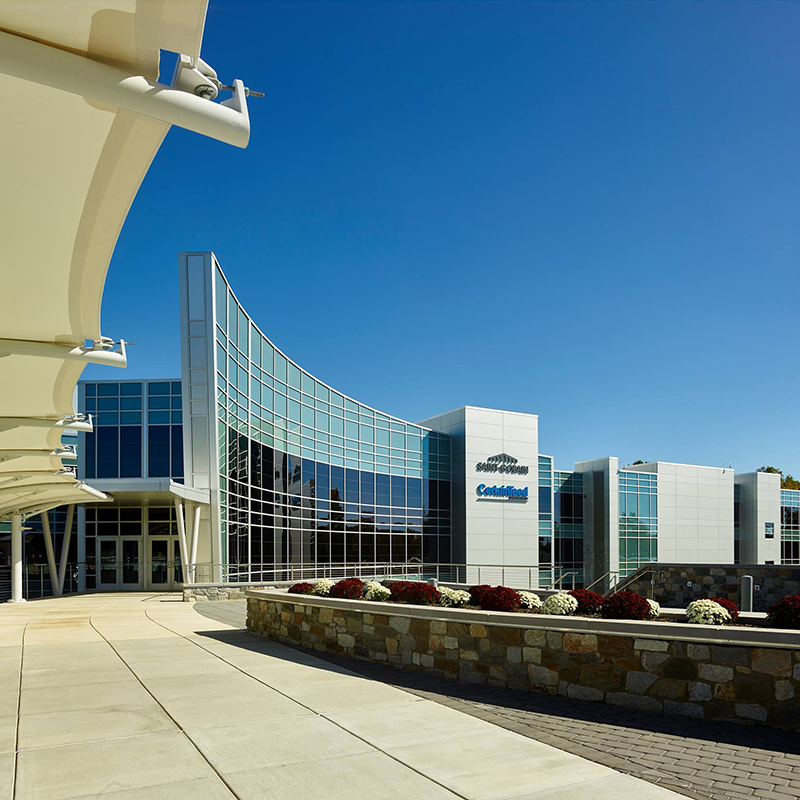 An increasing marketing campaign by the green building industry and particularly the Leadership in Energy and Environmental Design (LEED™) certification system promotes linkages between LEED™ certified buildings and indoor environmental quality (IEQ). Despite the favorability of this hypothesis, few studies have empirically proven the linkages between LEED™ certified green buildings and their verified improvements in occupant’s IEQ and multi-comfort experience (Altomonte et.al, 2017; Elzeyadi, 2016). Based on a number of recent studies of IEQ evaluations in green buildings, indoor air quality (IAQ) and thermal comfort are rated among the most important IEQ factors (Chinazzo et. al, 2016; Gou, Lau, and Shen 2012, Leder et al. 2016). However, a study based on responses from 52,980 occupants placed IAQ second and thermal comfort last in importance (Heinzerling et al. 2013). Despite this finding, all IEQ weighting schemes stress the high importance of IAQ and thermal comfort in explaining the occupant’s overall perception of IEQ in offices. There is consensus among researchers that both factors play a role in the overall perception of multi-comfort and could act as mediational factors that impact occupant’s evaluation of other comfort systems such as visual and acoustical comfort (Elzeyadi, 2015; Humphreys, 2005). 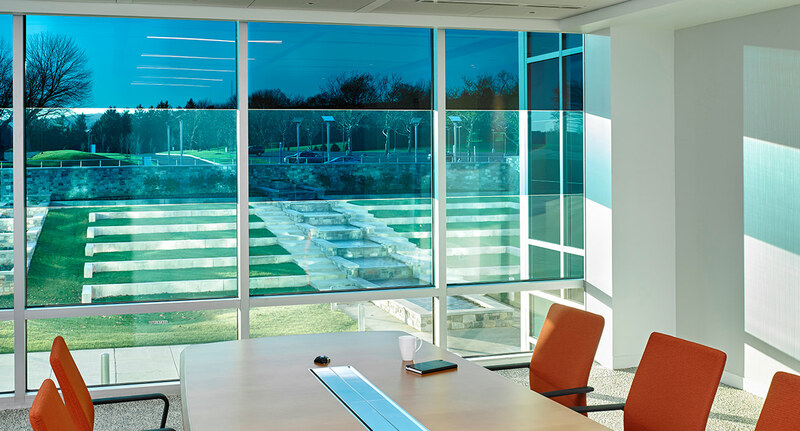 For this study, the HiPE Lab compared data and metrics across two of Saint Gobain’s offices. This comparison helped us to develop a base point from which we could better understand the success of their new headquarter. As part of our analysis, the lab conducted studies of both buildings to measure indoor comfort in terms of temperature and humidity to compare it to ASHRAE standards for indoor comfort. As the above psychometric charts indicate, the new headquarter succeeded in creating spaces which fit in the required zones for occupant comfort. The HiPE Lab also investigated the thermal success of both buildings to better understand how the buildings address thermal comfort for employees. As shown above, the new building functions comfortably within the thermal comfort range relative to the older building.